There may be some validity to that point given the $390M box office of Solo: A Star Wars Story, or there may have been other factors involved, like it having nothing to do with the Skywalker Saga, or the recasting of a beloved character, etc. "Everyone talks about the shock of realizing that in Force Awakens I don't come in until the last page. A bigger shock to me was them killing Han Solo before Luke could ever see his best friend again. It might be so selfishly motivated, but I said, 'Holy cow, that's a real missed opportunity.' Even having the three of us together briefly." "I pitched Abrams on the idea of having me come in at the end, but how about Leia's trying to contact me telepathically. She gets frustrated because there's no answer, so she rushes to the new Death Star, that's three so far. She almost gets there when she's stopped by two stormtroopers. Just before she's abducted, one stormtrooper turns to the other, blows him away, pulls off his helmet and says, 'Hi sis, I'm here to rescue you.' I said, 'It'll blow the roof off the joint.'" 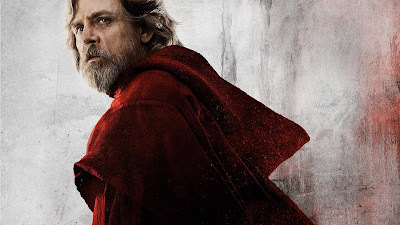 We'll see if Hamill can live with it, whatever it may be, when Episode IX opens in December.